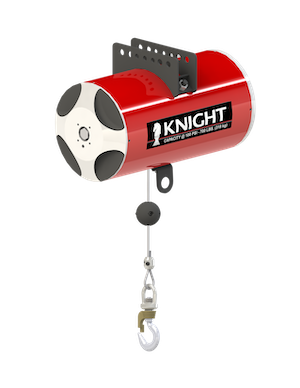 Knight’s Single Pneumatic Balancer is used in applications where a “float” condition is beneficial. 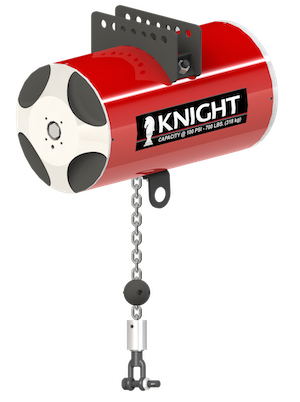 Float allows for the hands-free final positioning of an object. The up/down speed of a pneumatic balancer is quicker when compared to a hoist and allows for a “feathering” operation when locating the load. The pendant controls are ergonomically designed and incorporate color-coded thumb levers. Max. Balancing Capacity: Up to 700 lbs. [317kg]. Stroke is longer (Certain Models). Optional Reeved and Tandem Series.